According to all the latest rumours, the iPhone 6 will get a larger screen and a thinner chassis than the iPhone 5s. 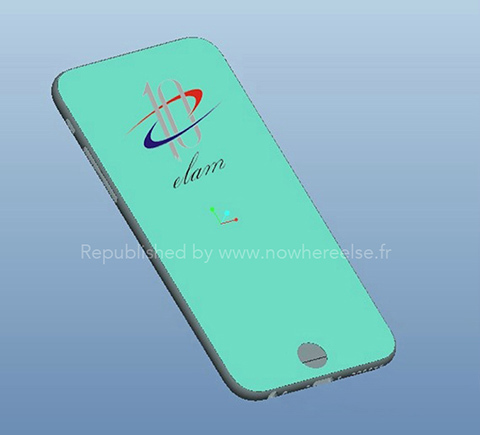 Following these rumours, Chinese case manufacturer Elam created a iPhone 6 case model, which shows an ultra thin form factor very similar to that found in recent schematics. The iPhone case model appears to have rounded corners and a single unified volume switch, which is different from the separate volume buttons in the iPhone 5s. It’s also a slight deviation from earlier design drawings, which showed separate rectangular volume buttons, suggesting this model may come from a different source. According to other rumours, Apple will also relocate the power button, either on the top left edge of the device or on the side of the device. The iPhone 6 will be 10 to 20 procent thinner than the iPhone 5s, making the phone only 6.5mm till 7mm thick. The iPhone 6 is expected to be released in two different sizes, a 4.7 inch and a 5.5 inch version. Other rumours indicate that the iPhone 6 will include a A8 processor, Touch ID, 1GB of RAM, and camera improvements. The phone is expected to be released in the third quarter of 2014.